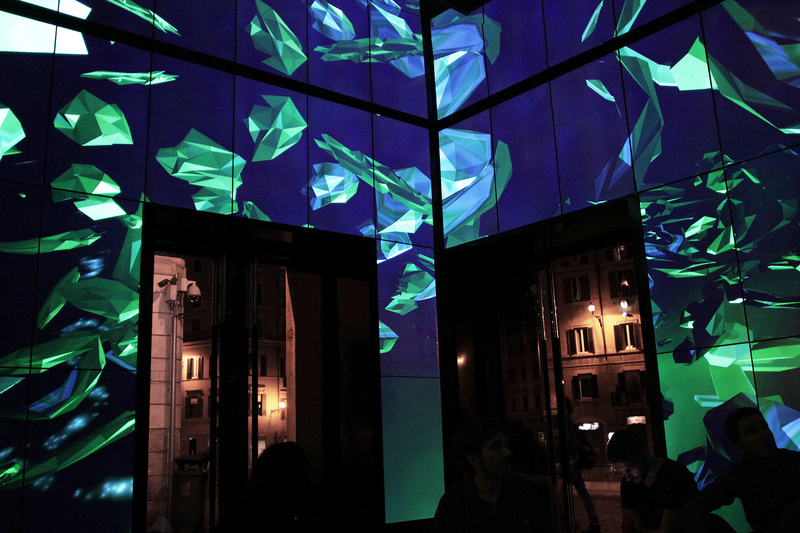 Thoughts of Rome is an installation that features 3D graphics generated in real time. The behaviours, lights, colors and sounds are influenced by Twitter events. Certain tweets cause the installation to reply with a haiku and a snapshot of the virtual world. 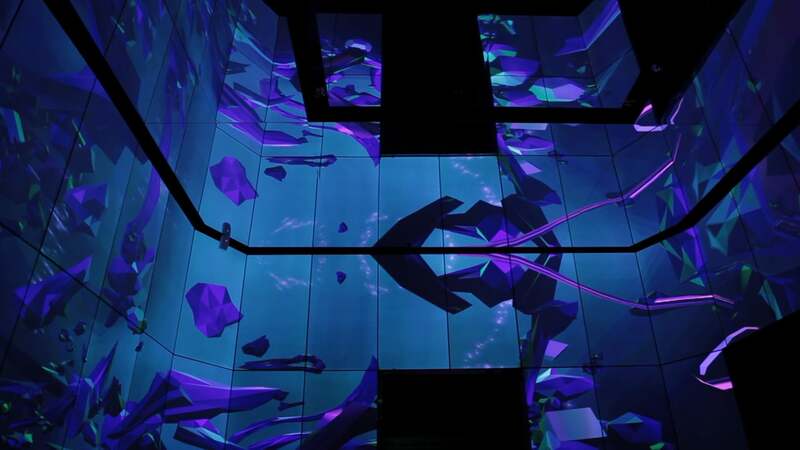 The walls of the room are covered with 63 large displays, and the reflective floor and ceiling make the immersive effect more impressive. 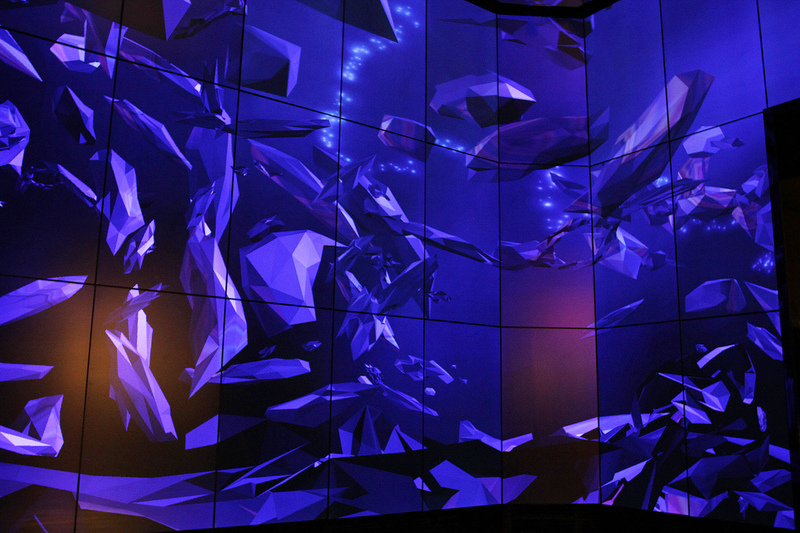 A virtual world that can be experienced with friends without wearing an isolating headset. Experience Thoughts of Rome online. Tags: interactive. installation. 3D. 360-degree. three-js.